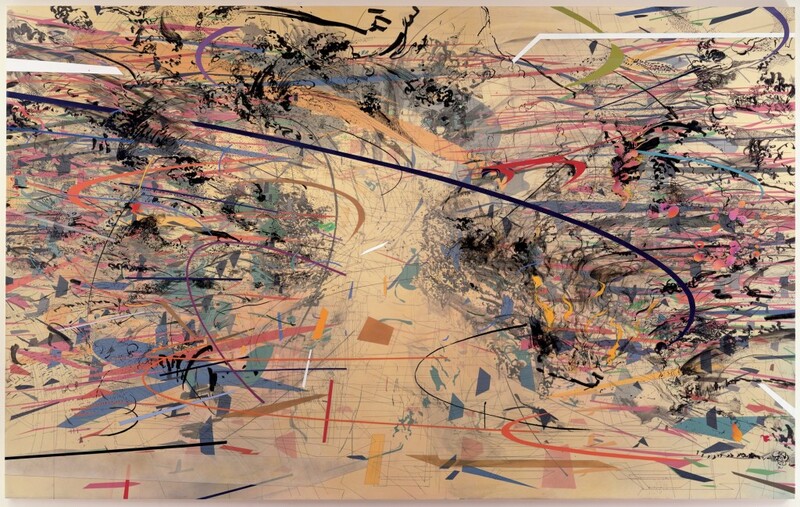 I really enjoyed Julie Mehretu's 2008 City Sitings exhibition at the Detroit Institute of Arts. 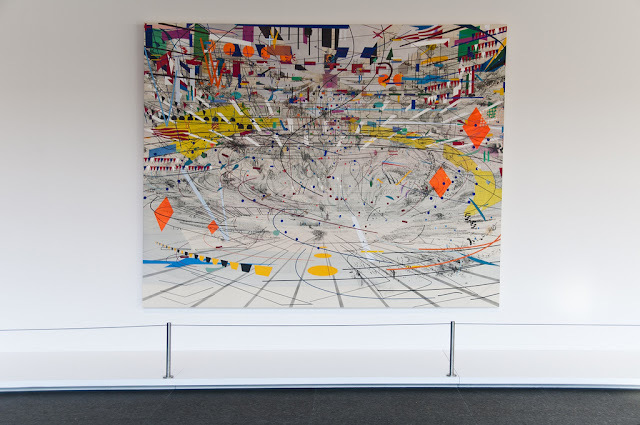 When we walked into the Carnegie Museum in Pittsburgh the other day, I was pleased to see this painting ("Stadia 2," that had been in the Detroit exhibition) prominently displayed in the lobby. 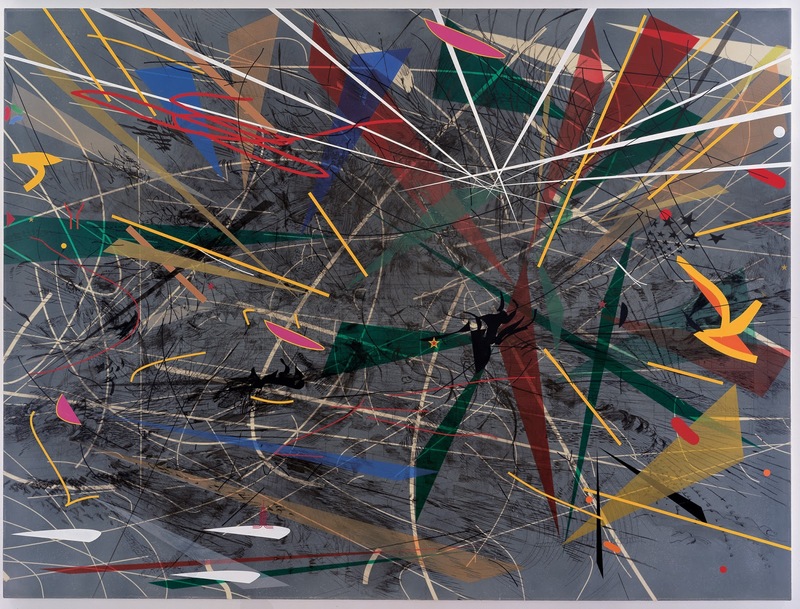 Not long after I first saw the DIA exhibition, my wife interviewed Mehretu's brother for a job in her office. When she told me about the interesting background of the guy she interviewed that day (born in Ethiopia, raised in Lansing, artist for a sister) I shocked her when I asked if his last name was Mehretu. 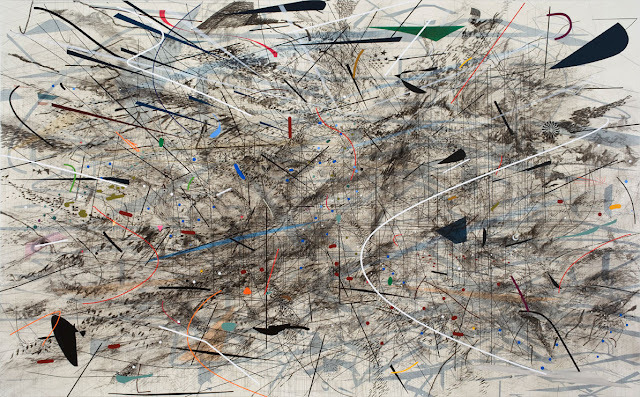 Must be rough having a MacAuthur genius for a sister (whose beautiful collage paintings sell for millions of dollars).